BOSTON — Bill Russell made clear, throughout his illustrious career that spanned 13 seasons with 11 championships, 12 All-Star game selections and five NBA Most Valuable Player trophies, that he did not play for Boston. He played for the Celtics. The difference, Russell said, was that the Celtics were an admirable organization run by Walter Brown and Red Auerbach with a team-first ethos that still managed to respect each players’ individuality. Boston, by contrast, was the city in which he experienced racism and intolerance and never was truly embraced until his playing career was over. More than 40 years later, another icon of the franchise came home for a day, in a much different era, without making any such distinction. 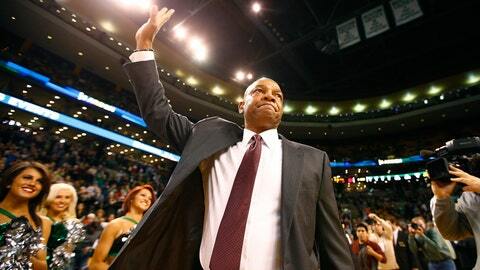 Doc Rivers was visibly emotional in his first game back at TD Garden since departing for Los Angeles last summer, but it was clear the coach’s loyalties did not lie with the only Celtics, team president of basketball operations Danny Ainge, co-owners Wyc Grousbeck and Stephen Pagliuca, or with the players themselves. Rivers loved all of it — the team, the city, the people — even if it was no longer his. “I tell you, boy, this is such a neat place,” Rivers said, his eyes watering, after his Clippers overcame the Celtics 96-88. “I tell people all the time, people don’t get Boston. They really don’t. They don’t understand. I think you have to be part of it to get it, I really do. I don’t think you can get it from the outside. It’s just a special, different place and people that were born here, raised here, they cheer for their teams and they love their athletes. It’s just a great place to be. Before his emotional postgame press conference, Rivers nearly broke up after the first quarter, when the Celtics played an extended video tribute to the man who coached them for nine seasons, two trips to the NBA Finals and the 2007 title. Fans roared when Rivers walked out onto the parquet floor — through the visitor’s tunnel, for the first time in 10 years — and he waved, needing a moment to take it all in. Actually, he needed more than a moment. Before the game, Rivers made no secret that he would have some difficulty focusing — “I’m an emotional guy,” he shrugged in his pregame media availability — but it was even tougher than he anticipated. Little things like Jeff Green inbounding the ball from in front of the Clippers’ bench tugged at Rivers’ heartstrings. His eyes lit up when he ran into forward Brandon Bass and Jeff Twiss, the Celtics’ vice president of media relations, in the hallway before the game. “It was just a really nice day,” Rivers said. “It’s just such a classy place here. It was really nice. When I walked out, I’m not used to walking out on that side, and all those people lined up, I was basically useless for the first 18 minutes of the game, I thought. His former players claimed to feel no special emotions in the game. Green downplayed the reunion by noting the Celtics will see Rivers again eventually — later this season, in fact. Jared Sullinger pleaded “no emotional attachment” to any of the proceedings. If there were any added emotions going into the game, Brad Stevens didn’t try to change them. Rivers’ successor may have been the person in the building least affected emotionally by Rivers’ return, so he didn’t see the occasion as a reason to rein in or feed off any feelings his players might have. For Rivers, it wasn’t so easy. Winning a championship somewhere does that to a person, apparently. There’s no question Rivers’ bond is greater with Paul Pierce, Kevin Garnett and Rajon Rondo because they won their rings together. Winning in Boston only strengthened their attachment to the city — and the city’s attachment with them. That may be why Celtics fans were so hurt when Rivers spurned them last summer. By winning a championship here, by living here, he became an honorary citizen. It’s understandable if some people are bitter, Rivers admitted. He just chooses not to be. Some ways? Try all ways. He never envisioned leaving the city, the team or the fans, but he did. For one brief night, anyway, he got to live it again.